Day 3: Bike to Cassville, WI, ferry ride to Guttenberg, IA and end in Potosi, WI. 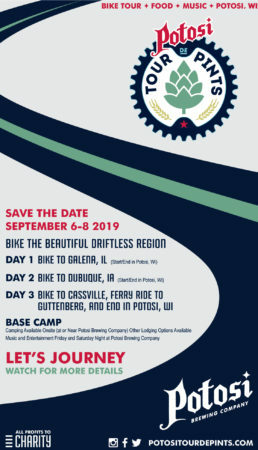 Potosi Brewery presents the Tour de Pints bike tour featuring cycling, food, music and craft beer. Let’s journey.